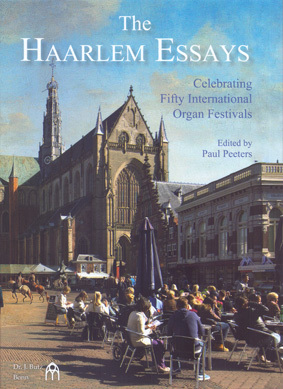 The Haarlem Essays. Celebrating Fifty International Organ Festivals. Edited by Paul Peeters. (english language). Incl. cd ‘The Haarlem Improvisation Competition’: Piet Kee, Hans Haselböck, André Isoir, Jan Jongepier, Jan Raas, Sebastian Bartmann, Samuel Liégeon.